Weight loss near Chattanooga can have a demonstrative impact on a person’s appearance and confidence. What many people may not realize, though, is how important safe weight loss can be for their health as well. Healthcare experts estimate that approximately one-third of all adults in the United States suffer from high blood pressure, or hypertension. In many cases, this condition can be managed or eliminated with weight loss. High blood pressure can arise for many reasons. However, doctors generally see a link between weight and hypertension. A person who loses weight often experiences a drop in blood pressure because the demands on the heart to supply blood to the rest of the body fall as well. Smaller body mass means less blood moving through the heart and vascular system. As a result, the blood vessels of the circulatory system experience less pressure on their interior walls. Hypertension is often a problem that many people do not realize they have. Until it causes more severe health issues, high blood pressure normally produces no noticeable warning signs. This makes healthy weight loss all the more important so that individuals can avert the likelihood of hypertension due to weight. True3Wellness can also help high blood pressure sufferers prevent the more severe effects of hypertension. When it is left to progress, high blood pressure can weaken the heart muscle as well as the many arteries that reside throughout the body. Any number of serious cardiovascular problems can result from this chronic condition. Hypertension initially causes the heart to increase its workload so that the body can receive the oxygenated blood it needs. Yet eventually this muscle can wear down, which can lead to heart failure. Damage to the arterial walls can also facilitate the accumulation of plaque. This side effect can make it easier for clots to form in the circulatory system that may eventually prevent blood flow to the heart or brain. Though high blood pressure is a known risk factor for both heart attacks and stroke, once a person manages his hypertension with weight loss, he can significantly lower his danger of these conditions as well. Losing weight can be difficult if you suffer from a hormonal problem that is causing weight gain. If you eat well and exercise often, but you still cannot lose weight, True Weightloss Solutions, LLC can help. Our weight loss programs in Chattanooga include strategies that can detect the reasons why you have yet to achieve your weight loss goals. We use BCA as one of our main weight loss services. This procedure allows our weight loss experts to identify the physiological issues that could be hindering your attempts to lose weight. In many cases, our clients have hormonal or organ disorders that contribute to unwanted weight gain. With our comprehensive weight loss techniques, you can experience a healthy and maintainable reduction of weight. If you’ve made losing weight your goal, you’ve already taken the first step toward achieving a healthier you. Losing even just a few pounds can offer significant benefits. Remember that many people have trouble achieving healthy weight loss through diet and exercise, despite their best efforts. You can always enlist the help of weight loss companies near Chattanooga. The health experts there can help you identify and overcome obstacles to achieving your weight loss goals. Did you know that weight loss may improve your sleep quality? In fact, if you’ve been diagnosed with sleep apnea, your doctor may have recommended losing some weight. Sleep apnea is a type of sleep disorder in which your breathing repeatedly stops and restarts during the night. When your breathing ceases, your brain briefly wakes you up to resume breathing. Most people don’t realize that they’re waking up dozens or even hundreds of times per night. This can lead to significant daytime fatigue and other symptoms. Many people find that working toward their weight loss goals helps resolve problems associated with sleep apnea. Weight loss does indeed offer physical benefits, but it also benefits the mind. Researchers have discovered that individuals who successfully achieve healthy weight loss often experience better memory retention. The link between hormonal imbalance and weight gain is well established. But did you know that not only can hormonal imbalance cause weight gain, but that being overweight or obese can further disrupt your hormones? This includes hormones that regulate your mood. With weight loss, you may find that you have less anxiety and that you feel better in general. Being overweight or obese exerts greater stress upon the respiratory system, which can lead to worsening asthma and allergy symptoms. It also strains the adrenal glands, which play a role in managing these conditions. If you’ve been diagnosed with asthma or allergies, working with a weight loss company can help you to better manage your allergy or asthma symptoms. There are many health hazards associated with obesity , including an increased risk of diabetes, heart disease, and even sleep disorders. Studies have shown that when individuals adopt unhealthy eating habits as children, they are more likely to continue them through adulthood. The same applies to healthy eating habits. If you’re looking for some weight loss tips in Chattanooga, consider promoting healthy weight loss as a family. Encourage your kids, significant other, and other family members to join you on your weight loss journey. You can hear more about the importance of safe weight loss by watching this news clip. You’ll hear about a recent study from the Centers for Disease Control and Prevention (CDC), which explores obesity among adolescents. You’ll also learn some tips for talking to your kids about healthy habits. Think about it. What other holiday celebrates a color so completely as St. Patrick’s Day? 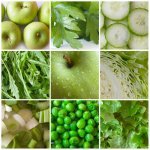 And of all the colors, it’s green—the most common color in nature and the color of many vegetables. We know St. Patty’d day has passed but we propose something a little different for your Irish celebrations next year: a health food extravaganza! 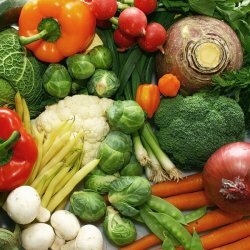 If you’re in the Chattanooga, TN area, there are plenty of health food stores for you to find the vegetables and fruit you need to make March 17 2016 a healthy day to remember. Ok, so the most obvious way to incorporate green health food into your St. Patrick’s Day is to eat food that is naturally green—like vegetables. And just because you live in a health-oriented town like Chattanooga doesn’t mean you look with fondness upon green veggies. What to do? First thing first is to get creative with them; make the veggies more appealing. This Women’s Health article has some great ideas. One trick is to use zucchini or cucumber in place of buns for a tiny sandwich. Use a cabbage as a dip bowl—just carve out the center. Then you can peel cabbage leaves to eat with the dip, along with your other dippable veggies! You can even substitute pasta with strips of zucchini for a look-alike fettuccini. Get creative with your own vegetable delights. Another great way to get some healthy green going is to turn to soups. There are many possibilities—split pea, broccoli & cheddar, even this basic green soup that creams together chard and spinach. Soup is a very satisfying addition to any meal, so if you’re sticking with naturally green foods to celebrate St. Patrick’s Day, soup is a great option. You can go off-recipe and make your own creation with whatever green food you have on hand—spinach, celery, peas, and so on. If you know the fundamentals of soup making, launching out on your own isn’t so hard. Check out this Splendid Table post for the basics in soup making. By sticking to veggie-based soups, you’ll be making your Chattanooga, TN chiropractor happy. How? They love it when you keep your body healthy! Our final idea for creating (and sticking to) a naturally green food extravaganza is to explore the world of finger foods. If you’re throwing a green party, finger foods are the obvious way to go. You can make those zucchini-bun sandwiches we mentioned before, among many other dishes. For one thing, these finger foods don’t have to be raw. You can bake and cook to get the desired effect. These ideas from Oprah will really get your party going. 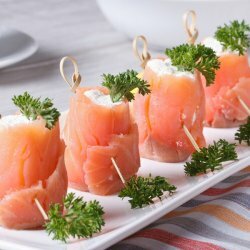 Things like a meat and cheese skewer founded on a green grape, shrimp wasabi with mayonnaise, and other delectable ideas are sure to please even the most skeptical of guests. And remember, every delicious bite will please your chiropractor in Chattanooga, TN. What’s not to love about that? Will you transform your St. Patty’s Day? If you’re a Chattanooga resident, you know that sticking to green foods is an easy way to keep the health ball rolling. Living in Chattanooga means access to a host of farmer’s markets throughout harvest season, so there’s really no excuse for avoiding green foods, even in March. Get all your friends involved in a healthy lifestyle by making next St. Patty’s Day the day to celebrate healthy food! Will you change the way you celebrate St. Patrick’s Day next year? If so, we want to know your plans! Leave a comment at the bottom of this post to open up the conversation about cooking green.